If you are using removable disk or USB key then you should look at this lesson. I will show you how you can safely remove your device from computer without the fear of losing data. Windows 8 has very functional calendar to remind you about all events you don't want to miss. In this lesson I will show you an example how to add birthday reminder. This guide is intended for beginners in Windows 8. I will show you how to select multiple songs to play continuously in Windows 8. Windows 8.1 allows you to set the same background on Start screen and your Desktop screen. Let see how to do that. Explorer in Windows 8 is quite updated and it is as much as possible adapted to the user. They have also added the option to quickly access the Command Prompt terminal window. If you would like to have easier and faster access to administrative tools in your Windows 8, then you should take a look at this lesson. Adobe Premiere has several video effects, that can be used in video clips. So why not to use it simply and correctly in your video products. A very basic Adobe Photoshop tutorial where you will learn how to duplicate a photo, reduce the size and get to know a new function. Similar guide for Windows 8 is already posted on the site, but here you will get familiar how to add an shutdown icon to your taskbar. Windows 8 allows much easier work in Explorer. One of useful options that makes work easier is also Item check boxes. Windows 8 brings just two quick view of all the files in a particular folder, which are set by default in Windows Explorer. You'll learn where to find other views. Today I will show you how to clean up the personal information of tiles in the new interface of Windows 8.1. In this lesson I will show you, how to add Start menu in Windows 8. There are many different versions of applications, we will use StartW8. If you need, besides major accounts, an extra account with limited access to data, you can add Windows 8 Guest account. The process is almost the same as in Windows 7. If you are a fan of using the main screen in windows 8, but you doesn't like name of the tile, you can rename it. In this lesson I will show you how we can easily rename tile in Windows 8. You will learn how to attach any program or game to the start screen in Windows 8, and then it can be also adjusted or removed. Windows 8 has a very useful application to get driving directions from point A to point B and it works everywhere. In this lesson I will show you a simple example. It may sound too simple, but I've met quite a few users who no longer know where is the option to shut down Microsoft Windows 8. In this lesson I will show you how to change login picture , Start background and User Account picture in Windows 8. Window 8 does not have Computer desktop icon by default. In this lesson we will show you how to add it. Have you ever been bothered by 'Are you sure ...?' window. In this lesson you'll see how you can eliminate such windows forever. FreeCommander is an alternative to Windows Explorer. It allows us to work with files much faster and also offers a lot of additional features for more advanced users. Using this Photoshop tutorial, you can create a star-studded sky on any give night photo and this is how you do it. The blurry, transparent background in Notification Center, Control Center, Spotlight and other more options menus on iOS 7 device can make reading experience rather unpleasant. Image Resizer for Windows is a great little tool that lets you resize your photos and other images directly from Windows Explorer. When an application in Linux stops responding you can use the killall command to close the program unconditionally. By default Windows calculator doesn't support order of operation, to enable the functionality you need to activate the scientific view, let me show you how. Nokia is constantly upgrading its Here maps and they really are one of the best around. They also offer a quick and simple way to share any location of your choice. Very handy and a less known way of opening a Windows command prompt window from any folder you choose. Zip files are compressed archives containing documents, images, folders, basically any type of files on your computer. We create them to save space and make them more practical for sending via email or file sharing services. In case you are not a great fan of the Windows 8 Metro user interface, you can tell the system to go straight to the Desktop mode. If you can't copy files that are bigger than 2 or 4 GB, usually HD movies and such, on to your USB key, it's usually due to the file system the USB key is formatted to. Virtual Hard Disk or VHD acts like a normal hard drive built into your computer. Cool thing is, it comes in a form of a single file so you can make a copy of it and virtually attach it to any other Windows computer. A less known but very useful feature that works since Windows XP has been released. You can easily rename a bunch of files in a matter of seconds, let me show you how. FLAC is an audio file that enables you to play songs without the lost of sound quality unlike MP3 files for instance. I will show you what you need to do in order to play FLAC in Windows 7 - Media Player 12 . Exchangeable Image File Format (EXIF) data can tell you which camera was used, what focal length, ISO, exposure time was set when taking a photo. Let's see how to look for that data in Windows 7. For the advance Windows XP or Windows 7 users, this is how you change the DNS settings using command prompt. In this tutorial, i will show you how to create invisible folder. Very useful for users, which like to hide secret folders from other users on computer. A less known feature that enables you to search the web from the Windows 7 start menu using Search programs and files field. Windows 8 introduces significant changes to the operating system's graphical user interface and platform and today we will learn how to install it on your computer. You don't need to be a developer, and IT employee or a manufacturer to be able to get the 90-days evaluation version of Windows 8 Enterprise and you don't need to use the torrents to get it as well. You don't need any extra software to burn ISO images to a CD or DVD in Windows 7, you can simply use Windows Disc Image Burner. If on your Windows 7 computer opening programs, saving documents, browsing the Internet and other every day tasks are getting slower, this is how you speed up things without installing an additional program. If you miss or you think you will miss the Start button in Windows 8, this is how you can add it. Windows 7 26th July 2012 | Author: Peter H.
In this lesson, we will learn how to get an IPv6 address from a domain, and open it in a browser. Windows 7 22nd July 2012 | Author: Peter H.
In this lesson, we will learn how to activate Windows 7 over phone, this comes in really handy if there is no Internet connection available. Some installations or settings changes require you to restart your computer. In most cases you don't need to actually reboot it, you only need to restart the explorer.exe process. If you are tired of waiting for your Windows 7 computer to shutdown or restart, you can create a new shortcut that will speed up the process considerably. Let me show you how to set the number of the recently opened items that get shown in the start menu jump list. Neat little trick to force the preview images of running programs in Windows 7 taskbar or a so called Aero Peek, to show instantly with no delay at all. You have more people using one computer and you don't want them to be able to shut it down using a shutdown button on Windows logon screen, this is how you remove it. Let me show yo how to adjust the text in Windows 7 to make it look the best for your screen and your eyes using Clear Type. If somebody asks you what kind of a graphic card you have, this is how you find out. Should work in Windows XP as well. For basic FTP transfers you don't a third party ftp client, you can use a built-in feature in Windows 7. You will learn how to create a bootable Windows 8 USB key using a Windows 7 USB DVD Download Tool. I will show you how to create a folder, file or an application shortcut in a three different ways. 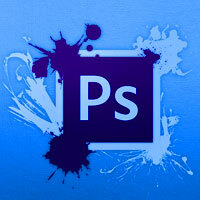 You can do quite a few basic image editing tasks with Windows 7 Paint program, let's see how to crop images. If you are like me and don't like too many shortcuts on desktop you can add a shorcut to favorites in Windows Explorer. Windows 7 comes with the good old classics like Solitare or Minesweeper and some new ones, all you need to do is enable them. Windows Explorer does not have menu displayed by default like you were used to in previous versions. To activate and keep it permanently visible follow this tutorial. Your Windows Explorer does not display the preview thumbnails of your pictures? We can fix that in no time. If you want more control when selecting files and documents in Windows Explorer you might want to active check boxes to select items. If you put your computer into hibernation, the next time you turn it on, you'll get all your windows and programs open just the way they were before the shutdown. If you're like me, not the greatest fan of the sounds Windows 7 makes on various of events , then turn the system sounds off. If you encrypted your USB drive and you don't need the password protected encryption anymore, all you have to do is decrypt it. In Windows 7 Ultimate and Enterprise you can use the BitLocker to password protect and encrypt data on your drives. You can set different shortcust using a combination of keys to open programs and applications. If you don't have a wireless router, you can easily turn your laptop or a PC into a virtual wireless router and share your Internet connection. I'm going to show you too change how fast or how slow the mouse pointer moves across the screen and how to change the speed of double-click. If you're a left hander you might want to change the right and left mouse button actions. We're going the change the Windows 7 power buttons function from Shut down to Log off. Let's see how to set which programs should by default open certain files in Windows 7. Let's make a simple video from your photos, with a title, credits, nice transitions and some music for better mood. I'm going to show you how to activate a Windows Media Player 12 mini toolbar on Windows 7. Turn your photos and videos with little effort into nice looking movies using the free Windows Movie Maker application by Microsoft. You will learn how to create, rename and delete folders in Windows 7 so you can organize your pictures, documents and other files. If you own a notebook, it's more then likely that it has capability to connect to wireless networks, also known as WLAN or WiFi. You can set any image you like as your Windows 7 desktop picture, let me show you how it's done. If you installed some applications and you don't them any more, uninstall them to save some space and resources. Remember the times you had your flat screen or even CRT all covered in sticky notes? No need on wasting the paper anymore. Windows 7 have a nifty feature which combines the windows of opened applications under the same taskbar button. If you don't like it you can always turn it off. You're in a hurry and just want to write a quick note, or copy paste some text you don't want to forget? Use notepad. Let me show you how to switch active windows using keyboard shortcuts. Every computer has a name, a so called hostname. Let's see how to find yours and how to change it. What is my internal and gateway IP address? Each computer with a network card has an IP address. Let me show you how to find out yours. If you don't want other people using your computer when you leave the desk, just activate the password lock on your screen saver. With Windows 7 the taskbar became more functional, you can add application shortcuts and launch applications with only a click. 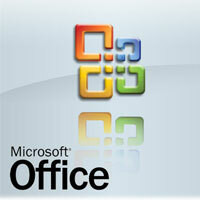 You have Microsoft Office 2010 Installation DVD or files and you aren't quite sure how to install it on your computer? If you have your Windows 7 installation on your bootable USB key or drive, this is how you boot it up. You can easily put a Windows 7 installation on your USB key easy to use Microsoft tool called Windows 7 USB DVD Download Tool. In this day of age, it's very practical to have a Windows 7 installation on your USB key, for many netbooks and devices don't come with CD/DVD drives anymore. If your computer is working slower then usual, you can see what applications and processes you're running. Just like in Windows XP you can also have a Quick Launch function in Window 7, you just need to enable it. Windows 7 are hiding a few more extra Themes, let me show you how to bring them to light. Gadgets put information and fun like news, pictures, games and the weather right on your desktop. Let's see how to activate them. Windows 7 comes with a practical tool for making custom screen shots and saving them into a file. In case someone else will be using your computer and you don't what them to have access to your files and documents, just add a new user. I am going to show you, how to determine if your computer is running a 32-bit or 64-bit version of Windows 7 operating system. If your notebook or computer comes equipped with a fingerprint scanner, you can use it instead of typing you username and password. Collection of fonts on our computer is quite big, but sometimes we want to use some special font. We can find it on web and install it on computer for personal use. In this tutorial, you can learn how to burn your first audio CD. Songs must be stored in seperate folder on our computer.